Is a High-Deductible Insurance Plan Right for You? If you’ve gotten the feeling that choosing a health insurance plan requires more research – and more decisions – than it used to, you’re not wrong. And that’s actually a good thing for consumers – it means you have more options for choosing what’s right for you and a greater ability to help control what you spend on health care. To make the choices that are most sensible for you and your family, you need to consider a number of factors when deciding what kind of health insurance best suits your needs and budget. Lately, you’ve probably heard talk of high-deductible health insurance plans – sometimes called consumer-directed or consumer-driven plans. What are these plans and what are their pros and cons? A co-pay, or co-payment, is a specified dollar amount you pay for treatment by a doctor or for prescription drugs at the time of receiving the service or medicine. The insurance company pays the difference between the co-pay and the billed amount after you’ve met your deductible. 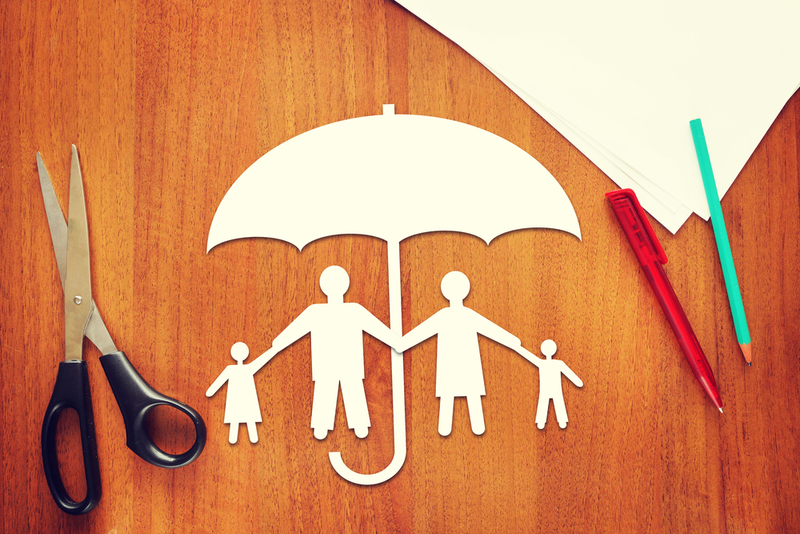 Co-insurance is your share of the costs of covered services, after you’ve met your deductible. Co-insurance is paid in addition to any deductible and is usually a percentage of the total cost. A deductible is the amount you pay for covered medical services before your insurance policy starts paying. The deductible is separate from an insurance premium. High-deductible plans are attractive because they generally have lower premiums, which is what you pay each month for coverage. There is a tradeoff in exchange for lower premiums: for starters, your insurance doesn’t kick in until you’ve met your annual deductible, which could be several thousand dollars. And when you do meet your deductible, you may still have a co-pay or co-insurance or both. For people with fairly predictable health care costs, high-deductible plans can be a great way to control spending on health care. On the other hand, these costs are sometimes hard to predict. High-deductible plans are frequently linked with a health savings account (HSA) or flexible spending account (FSA) to help cover out-of-pocket costs. These can offer tax-deferred savings on health care expenses. Just as you wouldn’t buy a car or a house without thoughtful deliberation over the options, you should take some time to research the pros and cons of a range of plans. Weigh the advantages of a lower monthly premium against the potential out-of-pocket costs in the event of a serious health issue. Ask your employer about any HSA and FSA offerings. An HSA is a bit like a 401(k) retirement account, except it’s only for medical expenses and it requires an HSA-compatible insurance plan. HSAs are available through individual or employer-sponsored insurance plans and are designed primarily for people with high-deductible plans. You can deposit money into the HSA from your paycheck before tax and the money in your HSA can roll over from year to year. Your employer can contribute to your HSA, but you own the account. IRS rules do not allow you to contribute to an HSA if you are covered by any non-high-deductible health plan, including a general purpose health care flexible spending account (FSA), or if you are enrolled in Medicare or can be claimed as a dependent on someone else’s tax return. What’s a health care flexible spending account (FSA)? An FSA is set up by your employer, who technically owns the account. But you can decide which medical costs you’ll pay from your FSA funds. Like an HSA, you can make pre-tax deposits into your FSA directly from your paycheck. If your employer permits is, you can roll over up to $500 from your FSA year to year – anything over $500 reverts back to your employer. FSAs are designed for people with high-deductible plans or more traditional plans. If you have an HSA, you cannot also have a general purpose FSA to pay for medical expenses, but you can have a special “limited-purpose FSA” that limits reimbursements only to dental and vision care expenses. According to the New York Times, nearly a third of large employers plan to offer only high-deductible insurance plans to their workers in 2015. The trend of shifting more and more responsibility for health care costs onto consumers is going to continue – which means we all have to be more conscious of exactly what kind of value we’re getting for what we’re spending. Historically, it hasn’t been easy for consumers to find out what their medical care actually costs. People may know what they’re paying for health insurance, but they rarely see the price tag on the health care they’re purchasing, not even after the fact. This lack of transparency can have a major impact on people with high-deductible health insurance plans whose out-of-pocket costs can be significant. We believe a key to controlling health care costs is putting more information in the hands of consumers. To help consumers get a better idea of the prices of some common medical procedures, we have launched a first-of-its-kind health care cost transparency tool. Consumers – not just our customers but all consumers – can find the amounts we reimburse doctors for more than 1200 medical procedures. After all, why should buying health care be all that different from buying anything else? If you’re not sure which sort of health insurance plan is best for you and your family, you can speak to one of our representatives at 1-885-854-9046 or visit one of our seven retail locations in North Carolina.